We offer our expertise and auction services for all stages of a gTLD, delivering high value sales throughout the entire life cycle of a domain name. Our solutions are designed specifically with Registries and the unique needs of your brand in mind. 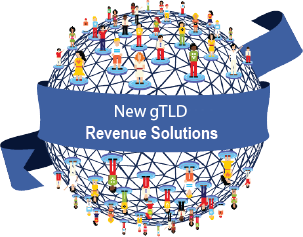 ICANN estimates that only 50% of new gTLDs will be renewed at the one year mark. With a Registry Reserve partnership with SnapNames, you can offer your inventory to our customer base while also creating a new revenue stream! Through our state-of-the-art patented auction technology, you will have access to the millions of SnapNames customers worldwide and leverage your inventory into instant revenue. We take our partnerships seriously and provide hands on guidance to find solutions that meet your needs. In fact, we're experts! With over 12 years experience, we pioneered the first commercially available and patented technology for backordering registered domain names with our patented Âdrop catching' and award winning auction technology. Our registry solutions provide a means to earn revenue at all stages of the domain lifecycle - from launch to maturity. With our robust and proven auction technology and industry expertise, we help registries meet their profit objectives - reaching buyers globally and efficiently. Take advantage of our award winning products and brokerage services during all stages. Fueling your gTLD sales, we are proud to leverage the industry's most successful brokerage team on your behalf. Our full service brokerage team is responsible for many of the industry's most impressive sales. They navigate the marketplace, provide one-to-one consultation and negotiate deals that result in win-win transactions.